President Donald Trump and North Korean leader Kim Jong Un have come a long way since the president’s threats from nine months ago to unleash “fire and fury like the world has never seen.” Now the two leaders are just hours away from an historic sit-down in Singapore where they’ll negotiate over the North’s full denuclearization and potentially shift the status quo of Asia from the last 50 years. Will they be able to reach an agreement? ABC News Chief White House Correspondent Jonathan Karl checks in from Singapore and explains the president’s strategy as he heads into this summit. 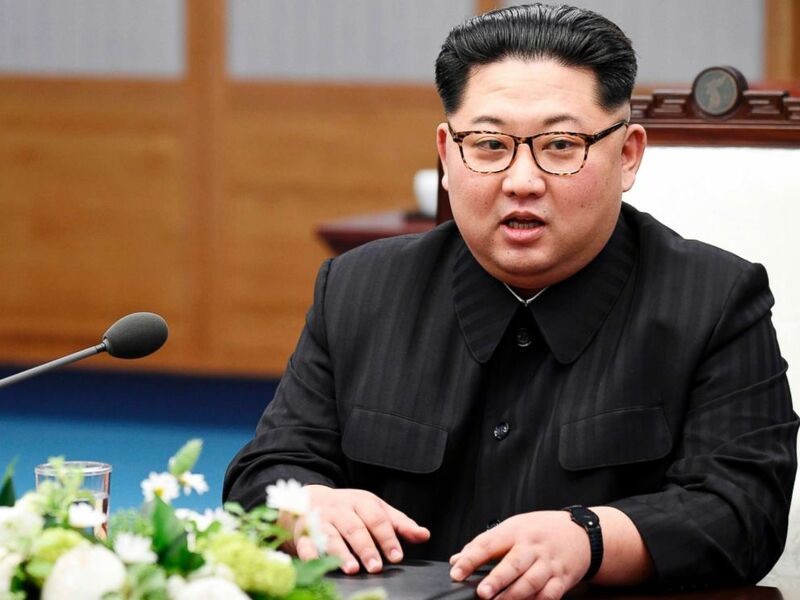 U.S. officials have spent weeks preparing for this summit and finalizing the little details, such as what the two leaders should eat when they first meet and choosing Singapore’s resort island of Sentosa as the location. So all this might sound like a wide departure from the traditional American line. But if you really wanted to get a sense of just how far removed we already are, you should have been in Quebec, Canada, this weekend. Over the weekend, leaders from France, Germany, the U.K., Italy, Japan, Canada and the U.S. gathered for the G-7 in Quebec, Canada, to reach some agreements on how these allies could work together economically. When the weekend was over, six of them had signed off on a big communique, a joint statement. Trump left the conference early and told his staff to leave it blank. 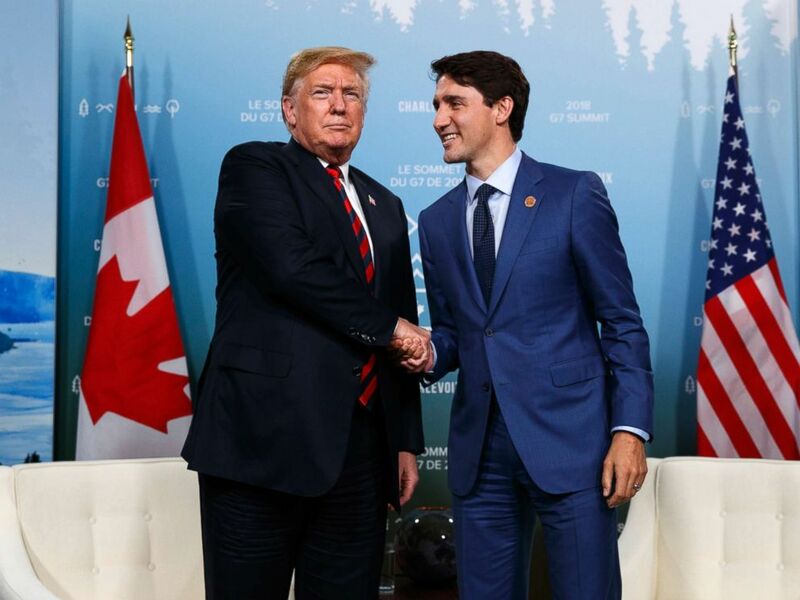 ABC News’ Justin Fishel was covering the gathering and says Trump got upset after Canadian Prime Minister Justin Trudeau made some harsh statements after Trump had left. Throughout his campaign, Trump hit on one word more than any other: jobs. But last week, the Labor Department announced something we’ve never heard before. There are more job openings in this country than there are jobless people to fill them. ABC News Chief Business and Economics Correspondent Rebecca Jarvis says employers in skilled industries are desperate for young workers. 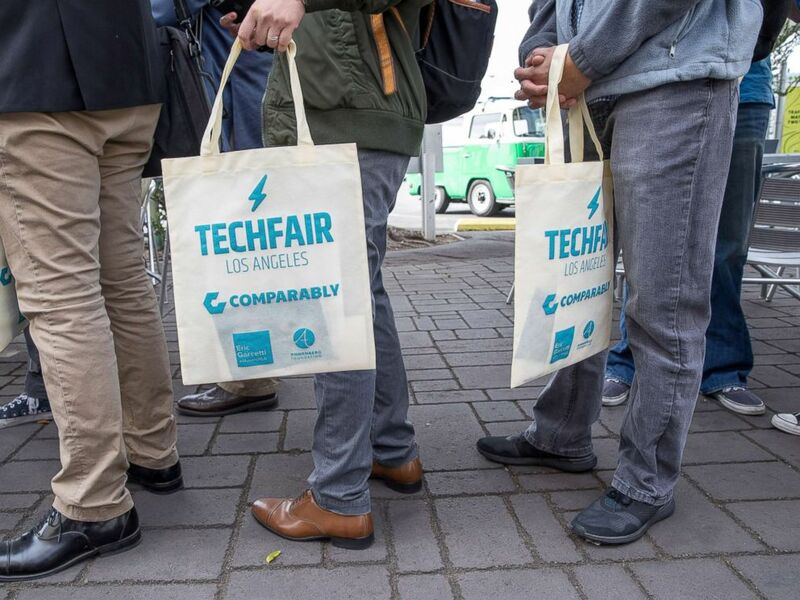 Job seekers line up at TechFair in Los Angeles, March 8, 2018.